Susan Wise Bauer wrote the book "Well Educated Mind" as a guide to the Classical Education you never had. Part one covers Training Your Own Mind, The Act of Reading, Keeping a Journal, and Final Preparations for beginning to read. She outlines how to read a book from the standpoint of the grammar, logic and rhetoric stages plus how to read, think and formulate your opinion of what the story means to you. She recommends keeping a journal and outlining the story as you read. Which is actually an excellent idea. There have been too many times a passage has struck me or provided an epiphany. In the case where I didn't write it down right away, either using marginalia or a notebook, I've discovered that in going back later, it doesn't affect me the same way. So my advice to you is write it down as soon as the thought crosses your mind or you will lose it forever. Part two is all about the books and her suggestions of great books to read from 5 genres: Fiction, Autobiography, History/Politics, Drama and Poetry. The books are listed chronologically and she suggests reading them in order. The genres are broken down into 5 sections with a detailed explanation how to read them and a synopsis is included on each title with the best edition to read. A revised edition of Well Educated Mind has been released and Susan has expanded the sections to include books from the twenty first century, added movie versions of the plays, more poets after the Modernists for Poetry as well as a new Science section. I read the revised version and received a much needed refresher in active reading. I heartily recommend the updated and expanded edition. Check out her website for additional recommended editions and links to public domain texts. Please join me in this perpetual challenge. 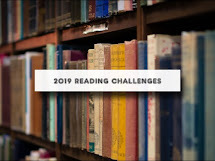 The goal of the perpetual challenge is to read at least 3 books in any category, each year. Listed are the suggestions in each category. Erwin Schrodinger - What is Life?